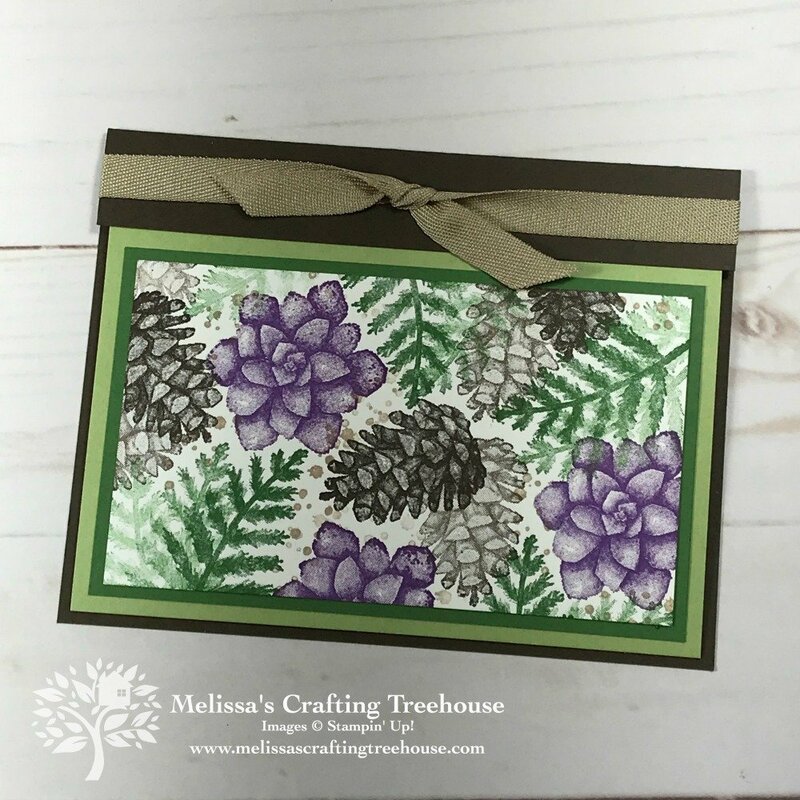 Today’s post features three cards made with the Painted Seasons Stamp Set. 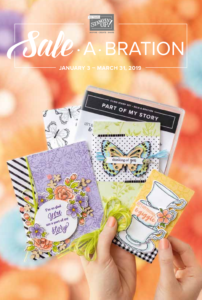 These fun fold cards are variations on a theme in three color schemes and two orientations. The stamping is pretty much the same but one is oriented landscape and the other is a portrait orientation. 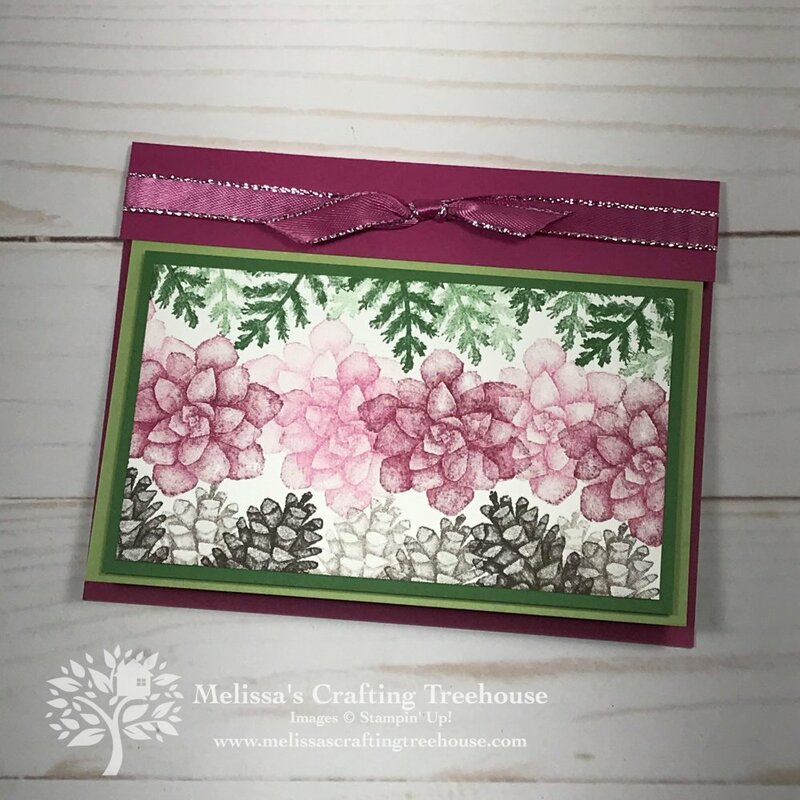 This first card was one of the three Club projects and FREE Card Kits Program projects. 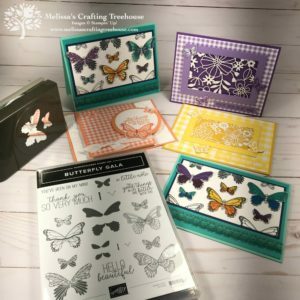 Project kits are available FREE with qualifying purchases. The images are all stamped in first, second and third inking which gives the focal piece the feeling of depth. 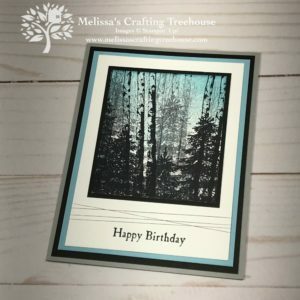 This next card is the exact same layout but in a different color scheme. I’ve mixed up the Painted Seasons images so this focal piece looks more organic, like something you’d see in nature. 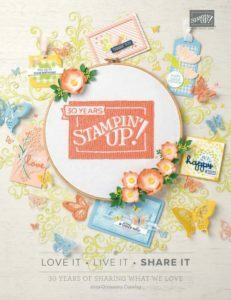 I’ve also used an image from the Timeless Textures Stamp Set for the crumb cake specks here and there. 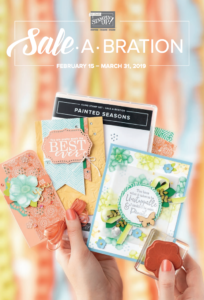 The Painted Seasons stamp set is part of a bundle that you can get for FREE with a $100 merchandise order during Sale-A-Bration, which, ends on 3/31/19! Don’t delay if you want this set for FREE! 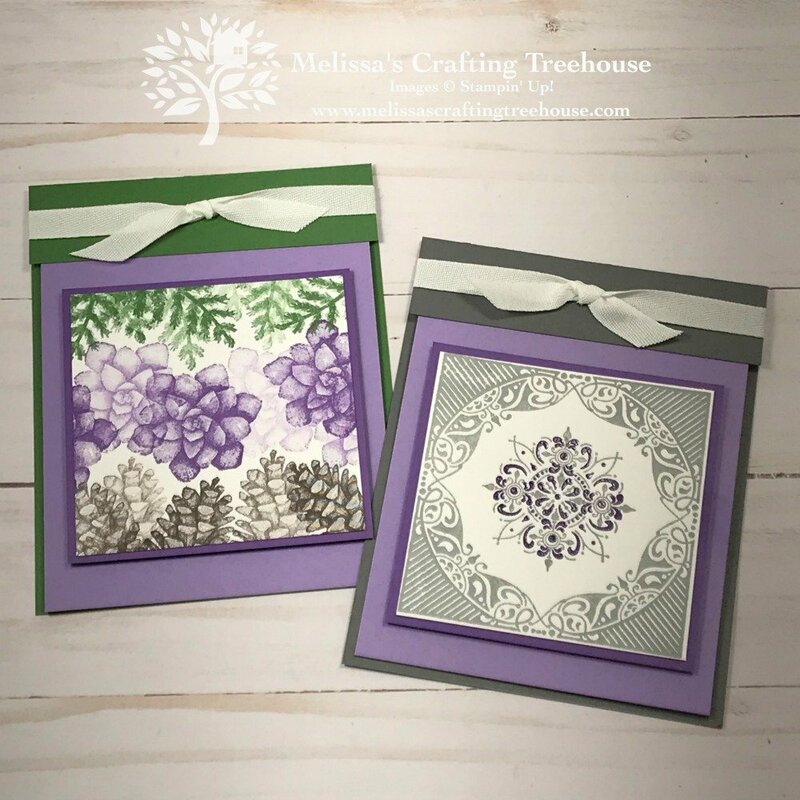 What makes these fun fold cards, is the fact that you don’t start with a traditional one-piece card body! 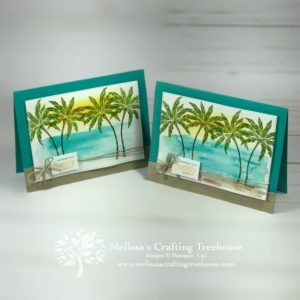 The back of the card is a piece that measures 5-1/2″ x 5-1/4″ and then it’s scored at the top to create a 1″ flap. That flap attaches to the front Pear Pizzazz panel with a ribbon that is woven through the pieces and tied on the front. Tear and Tape was also used to secure the Berry Burst panel to the Pear Pizzaz front. These next two cards are constructed in exactly the same way but with different dimensions. You’ll find the dimensions and scoring details in my previous post by clicking HERE. FYI, Berry Burst is one of the 2017 – 2019 In Colors that will be retiring as of June 3, 2019! For the first card, the color of both the card backing and the ribbon are Bery Burst! This color and ALL the products that include this color will go on the retiring list the beginning of May, and so products that come in this color will likely run out before the end of May! This is the case for all the 2017 – 2019 In Colors! In the close-up below you may be able to see and appreciate how the 1st, 2nd and 3rd inking, create some wonderful depth and dimension to this card. I hope you’ve enjoyed today’s fun fold cards and will give it a try yourself! As always there is a complete supply list with project dimensions at the end of this post. 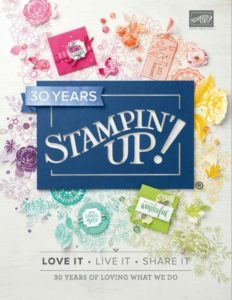 Plus, remember, if you love this stamp set you’ll need to act fast to get it. 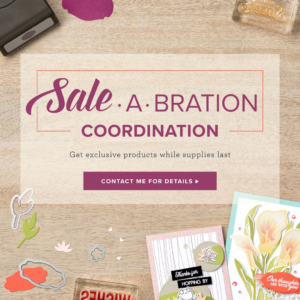 All you need to do is place a $100 order in my Online Store and select the Painted Seasons Bundle as your free item! 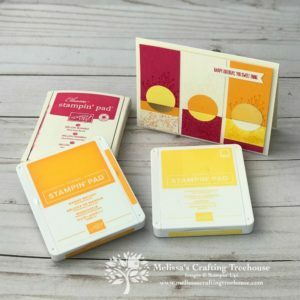 Plus, when you place a qualifying order using the current hostess code, you’ll receive FREE Card Kits in the mail from me, PLUS the March Simple Suite Stampers Tutorial Bundle PDF for FREE. 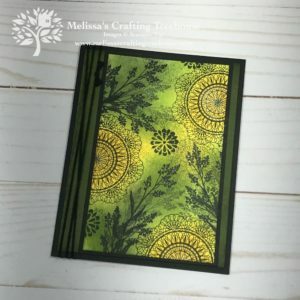 To learn more about the fun fold card made with the All Adorned stamp set and shown in the mini-tutorial above, click HERE. 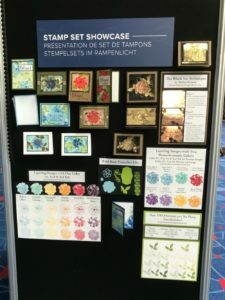 Click HERE to check out a project made with three of the retiring 2017 – 2019 In Colors. Do you LOVE Lemon Lime Twist? It’s retiring! Check out my “I Just Adore you” card made with this color by clicking HERE or my Beach Happy Card by clicking HERE. Do you love soft pinks? Click HERE to see a card made with three of the five retiring In Colors. 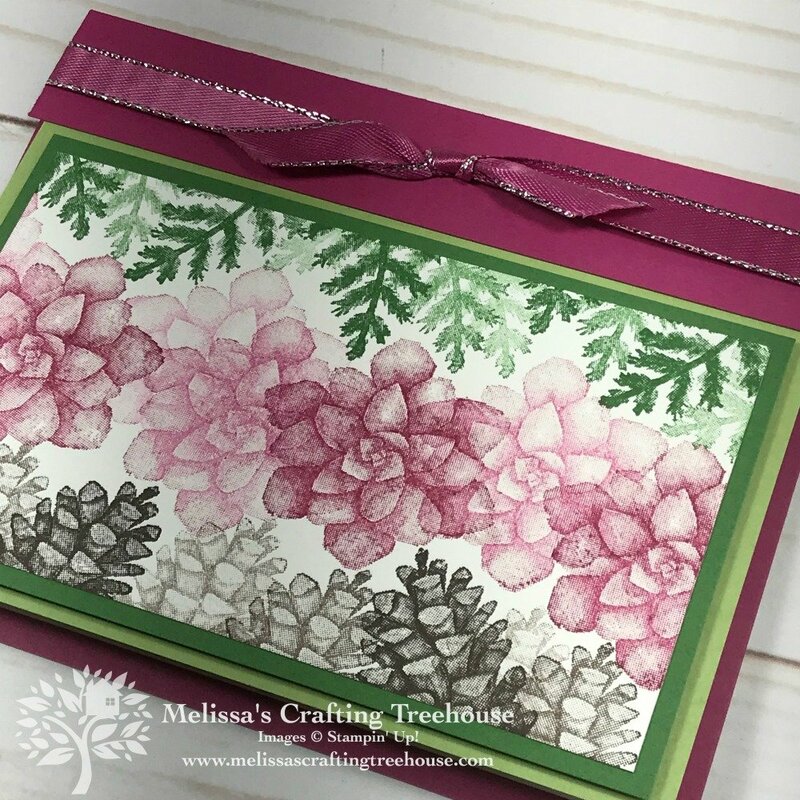 Here’s a very popular Christmas Card made with Tranquil Tide, also one of the retiring In Colors. Click HERE to see this card. Berry Burst Card Body: 5-1/2″ x 5-1/4″ – Scored @ 4-1/4″ so that when folded the large panel measures 5-1/2″ x 4-1/4″ with a 1″ flap at the top.